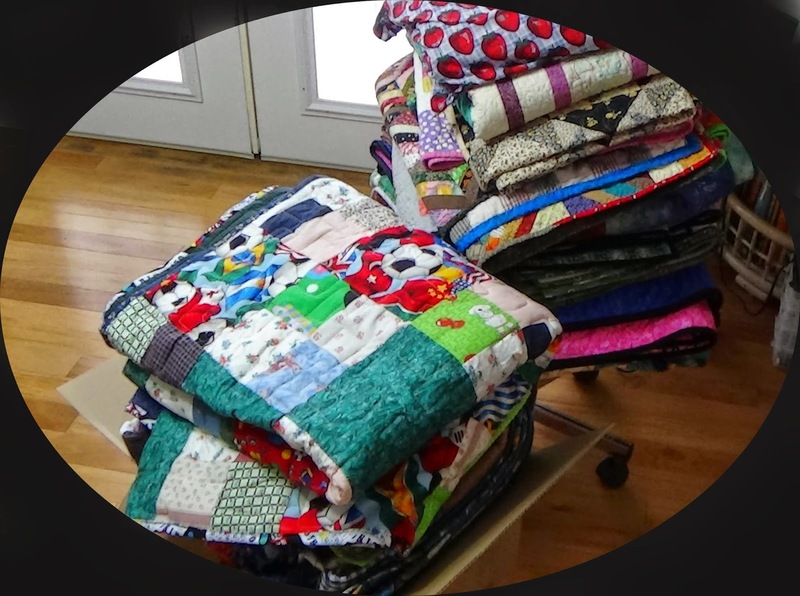 So many wonderful people assisted with the Quilt Angel project. I would like to thank all the Angels who made and donated quilts to this project. We had nineteen quilts to deliver this year. Here are a couple of pictures of them getting ready to go for delivery. We decided it best to not take any pictures or video of the teens receiving these gifts of love due to privacy issues. 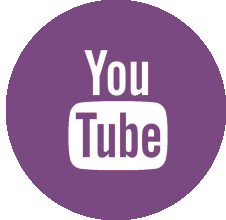 However, in the coming weeks, I will be posting video(s) of the director of the home speaking about the teens and the shelter. I have a short video ready that shows the fireplace and some of the decorations that are in place on the mantle. Another joy that I found was looking around on the walls of the shelter. 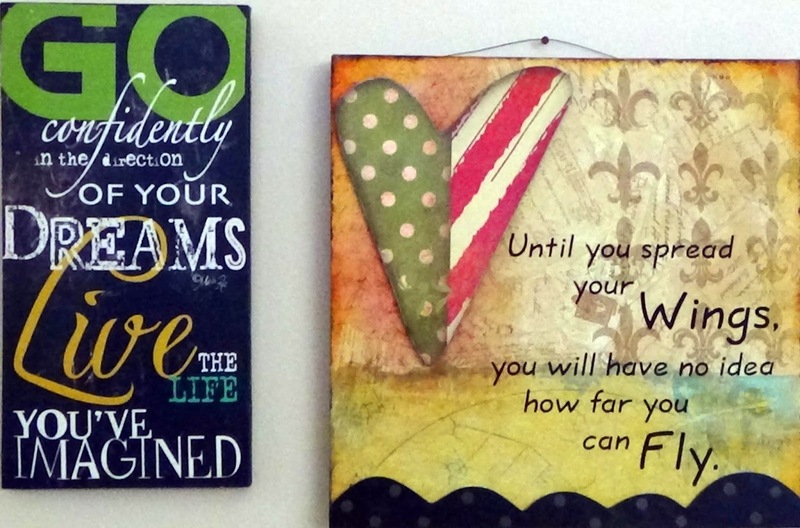 There were a number of inspirational and instructional signs. These two, side by side, really touched me. I hope you all find your wings, spread them and fly. Peace with you in this season of joy and love. One of my wall quilts also found a home in the shelter. 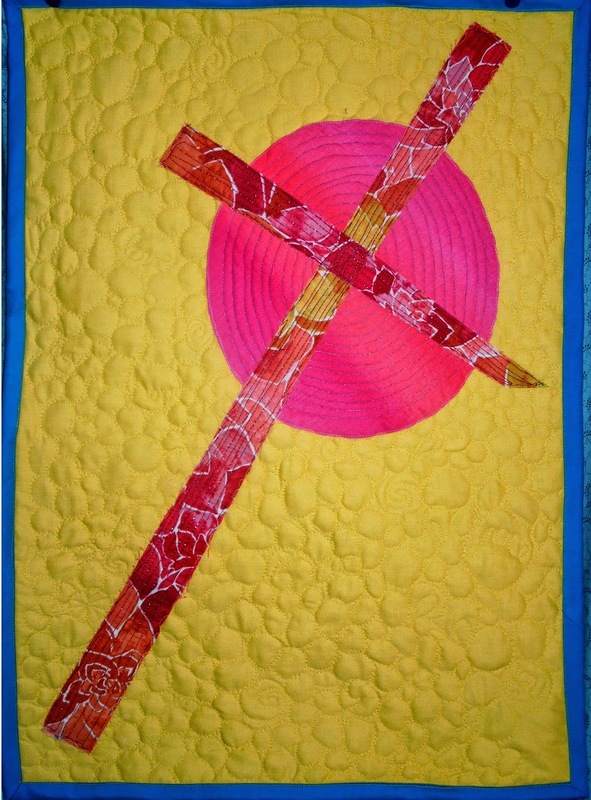 This quilt will be hanging on a high wall adding a spark of sunlight into the area. Again, I thank all of the Quilt Angels and supporters. I challenge those of you who can to be ready next year to send a quilt made with love to this wonderful project. What a great thing you have started! I'm so glad that these teens get to know that someone cares enough to send them a quilt. 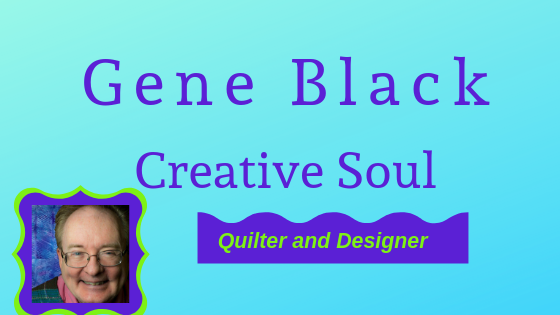 That's wonderful and your art quilt will be perfect there! I always look forward to your videos. What you are doing is an awesome thing Gene....I know that those that participated enjoyed being an angle for you. 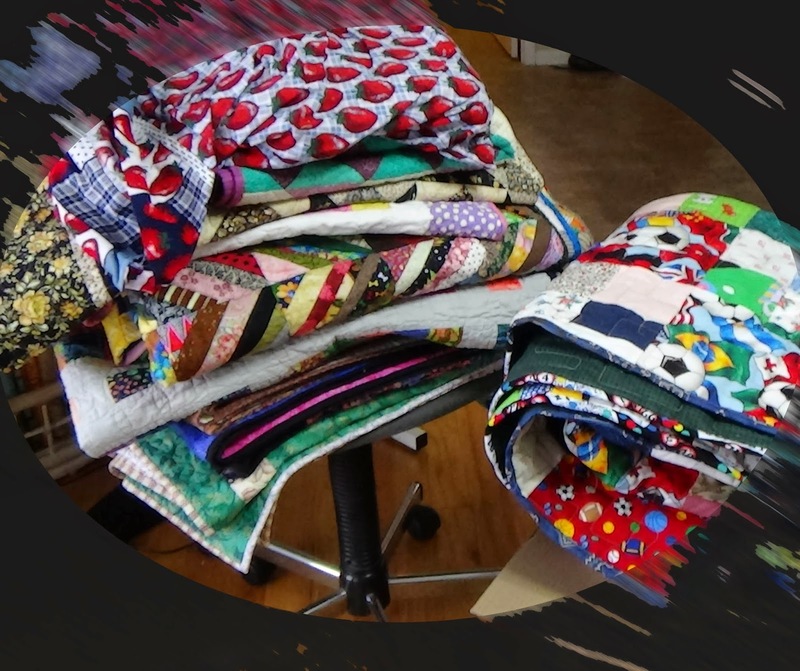 Such a lovely stack of quilts going to good homes. Such a wonderful project. Love to hear about the teens getting their quilts. Another great successful year. Way to go! !